Color: Grey with hi-lite and dark grey. New Balance's marketing pitch: Engineered for the relentless pursuit of faster. Upper: Mesh, no-sew synthetic leather, urethane welding. Sleeved upper construction. Midsole: Single density, compression molded foam. 6 mm heel to toe drop. 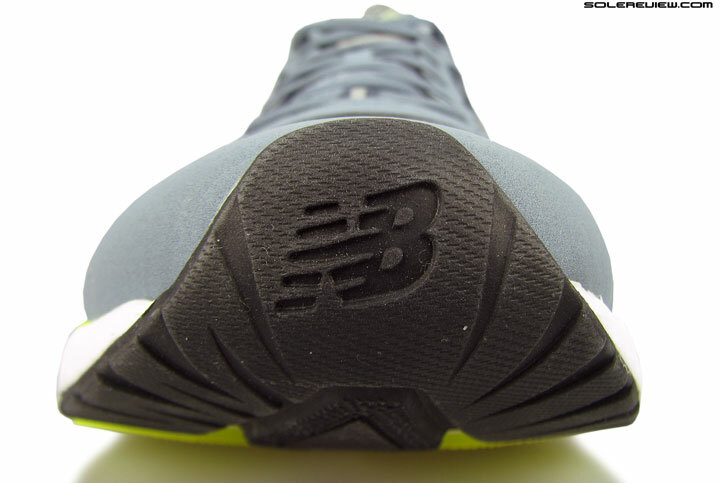 Outsole: Carbon rubber under heel, blown rubber under forefoot. Widths available: D - standard (reviewed), 2E-wide. The Vazee Pace is a performance thoroughbred with a very specific purpose. It shines only under the ideal set of circumstances - which is when running fast. The big N rises, and we’re not talking about Nike. Much of the mainstream media’s attention is focused on three publicly traded sportswear giants – adidas, Nike and Underarmour. Ok, maybe skechers too till recently. Then the brand missed its sales forecast recently, which led to a stock price drop, and suddenly became less of a media darling in the process. The theme doesn’t change. Which is how UnderArmour is a serious threat to Nike, and how the Baltimore based brand has eclipsed adidas’s sale in north America, and so forth. There is a lot of merit in the reporting, given UA’s aggressive outreach and growing sales along with their hiring spree of experienced talent. And yet when it comes to running footwear, the true challenger to Nike and adidas is not Baltimore, but Boston. New Balance has quickly shed its image of a brand selling staid white sneakers, and metamorphosed into a running shoe brand embracing a fast and youthful product design. It has even gone as far to abandon its legacy numbering system, and now preferring to call its newest shoes by names and not numbers. It doesn’t stop there. New Balance has moved its operations into a glass and steel building which looks like a mediterrean cruise ship. A few weeks ago, it stole a march over Asics by taking over the sponsorship of the New York Marathon, and then some. New Balance also announced its plan of footwear using 3D printed parts, though honestly that is more of a marketing gimmick than anything else. 3D printing has been used in the footwear industry since the mid-nineties; the only difference being that it was always used internally for rapid prototyping. Brands have had the capability of printing flexible shoe parts for nearly a decade now. So nothing new with consumer facing 3D printed footwear products, and it offers little benefit to the user except for the customization part. 3D printed parts are difficult to scale, expensive, and heavy – the latter being the reason why adidas’s and NB’s 3D printed concepts have generously perforated/latticed midsoles, designed to shed weight. But for whatever it’s worth – New Balance’s relatively bold steps signals the brand’s renewed focus. So if adidas’s and Nike have a running brand to worry about, it is New Balance, and not UnderArmour. Running footwear is the largest category after lifestyle and basketball, so New Balance’s push has the potential to bite a huge chunk of the performance running market. UA has a couple of hits, but there is a difference between compression apparel and running footwear. UA had the first mover advantage in compression apparel (which was a gateway into its now strong apparel business); it does not have the same leverage in the hard-to-crack running shoe market. New Balance’s ‘fresh’ beginnings kicked-off with the original Fresh Foam, which was somewhat of a letdown given its firm ride, but nonetheless provided a glimpse of New Balance’s grander ambitions. Soon after, the superlative Zante made its debut, followed by the Boracay, which was an improved 980. And then, there was this perfection of a shoe called the 1500 v1, which was the sum of all footwear design best practices rolled into one. Next in the line of named models; away from the numerical legacy. The Vazee line-up arrived late this summer, with the tri-pack of Vazee Pace, Rush and Coast. We have little idea on how the Rush and Coast rides, but after putting on some early miles in the Vazee Pace, we have a fair idea of its place in the New Balance playbook. It looks similar to Elite 8, right? Same purpose, different fit and feel. So generally it’s a better shoe for You? I’m curious about durability. What I really dislike in Elite is soft blown rubber in the front of the outsole. For me carbon rubber in Pegasus is much better/durable and after about 600 km in both Nike shoes I can’t see any advantage of softer rubber. I wish Elite 9 will be lighter, softer under the heel and more durable in front. Durability should be on par. Both shoes use softer blown rubber under the forefoot, the Vazee Pace more so. Thanks for your detailed reviews of the shoes. I got a pair of Pace last month. I run slow (6min/km, 170cm & 150lbs). I changed the hard insole with that of NB790. Still, my forefeet feel painful after a 5km practice. I also have the Adidas Boston 3 & 4, and they are worn out now. I am looking for a pair for practices and cannot make up my mind to choose among the Nike Veroma 10 (US$99), Nike Pegasus 32(31? )($100), NB890v5 (US$62), Adidas Boston 5 (US$90). Do you have any suggestions? The Pegasus 31/32 or the Vomero 10 should do just fine. hello solereview!! Just to let you know that I would love it if you guys could review the new NB 1080s and the Saucony Triumph ISO 2s somewhere in the future!! They seem to be quite cool and packed with some serious awesomeness, but a professional opinion like yours would seriously help me in my purchase decision process. Cheers! Thank you for the suggestion, we’ll do what we can to review the 1080 V6. Thanks for the excellent review ! I have the Vazee Pace and would like something with a bit more cushion and better heel support. I have high arches and a very narrow mid foot – difficult to find a shoe that fits. Any suggestions would be appreciated. The Nike Lunaracer 3 might be just right. Its midfoot is Flywire cord based, and grips very well while providing lightweight cushioning, more than the Vazee Pace. And have a great new year too! Thanks for the suggestion- I’ll try on the Lunaracer. How does it compare to the Lunartempo ? I tried it but the arch support was minimal. Thanks again ! I’m thinking of trying the Vomero 10 based on your review. Do you think it has more arch support than the Lunaracer ? The Vomero 10 is great, but the midfoot wrap isn’t as snug as the LR3. You have a narrow midfoot, so the V-10 might not be the shoe for you. No harm in trying, though. I like the Pace, but i was also curious in trying out the Vazee Rush. I think the Rush is worth of more attention, since it is a very capable shoe too. Both, the Rush and the Pace, are very close siblings, nethertheless they are a bit different. If someone wants a lightweight shoe with a fast feel, but better suited with allround qualities for daily running, the Rush is in my view a sound option. The Rush is overall slightly more cushioned (forefoot and heel feel more padded, still on the firm side but by no means harsh) and supportive, maybe a bit softer than the Pace, but the midsole has still a fast and responsive feel (firm bouncy, if that makes sense?). I would describe the ride as a mixture of the Pace and a firmer Kinvara. The grade of cushion is also somewhat comparable to the Nike Lunaracer/Lunartempo, maybe a bit firmer. Thank you for the feedback! We’ll see whether we fit the review of the Rush in. Too much arch support, didn’t work out for me on longer runs. Though I like the relatively high toe box. Hi there – thanks for the great reviews. Can’t believe I’ve only found this site now. Hoping you could offer some advice. I’m a slow, neutral runner (130 pounds; half marathon best of 1hr53min; 10km 50min), been running for over 10 years in traditional shoes with no injuries. Got hold of the NB Fresh Foam Zante last year and fell in love; they “disappeared” on my feet, my running cadence and style changed and my times all improved vastly… have run through 2 pairs now. But I find that I can only really run them up to about 30km. I’m looking for a higher mileage shoe for marathon and ultra-marathon distance now. I’ve tried the Brooks Ghost (hated them) and am now in the Pegasus 32. They’re OK, but just feel heavy and as though it is more effort to move my feet and legs. Trying to increase cadence and run lightly is a real effort. Any ideas? Was hoping the Vazee Pace might do it but doesn’t sound promising. 50 min 10k isn’t exactly slow, so you should give yourself more credit! Thanks for this. I hadn’t actually considered the 1080 because I always thought of them as the same as the Ghost/Pegasus (slow, heavy, heel-striking, cushioned). But perhaps I should give them a look, maybe I have been wrong about them. Should add that 50min is my fastest 10 km (run in the past year, in the Zantes) and my average would be 56/57mins, and would run a LOT slower pace over marathon and ultra distance. What do you think about something like the Zoom Elite? We haven’t tested the 1080, but would love to hear your feedback. The Zoom Elite is super firm, do not recommend considering your requirements. Instead, get an adidas Boston Boost for a blend of cushioning and durability. Thanks for all these great reviews, very thorough and a real mine of information – it really helps to understand what is being offered (or claimed) by the different companies. I enjoy just reading them even if I have no particular interest in the shoe. Anyway, I am currently shuttling between the glide boost 7 and the adios boost 2 and really enjoy running in both. But these vazee pace seem interesting and a friend suggested they might be up my street (and I’ve just spotted a very good online offer!) – I run at about 4min/km over 10k, 4.15min/km over 20k. I was wondering what your thoughts were on how these sit in relation to the adios or boston boost? The Vazee Pace has a nice, consistent spread of fit – the adios 2 is comparatively narrow in the front. 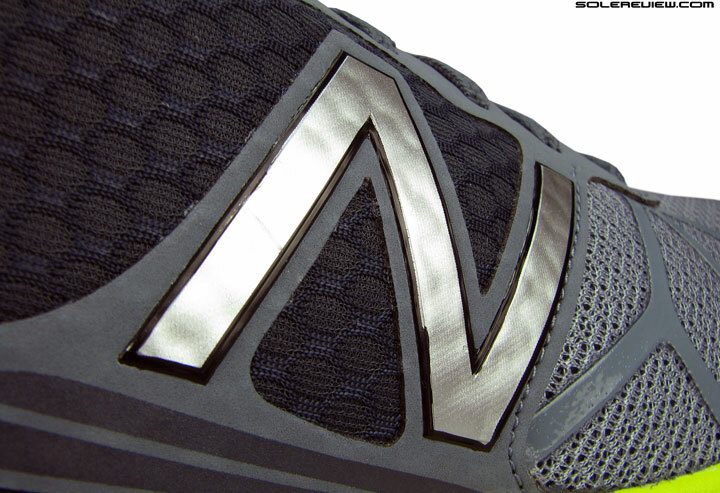 In terms of cushioning, the Vazee is somewhere between the adios and Boston. Thanks. This does sound good. Think I’ll add them to the mix.